Mahadev, U, & de Wolf, R. M. (2014). 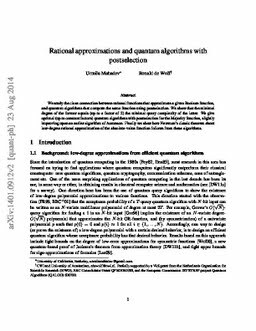 Rational approximations and quantum algorithms with postselection. Quantum Information and Computation, 15(3&4), 297–309.